Felix Rosenqvist snatched the overall lead in the FIA Formula 3 European Championship standings thanks to a set of commanding victories at the Autódromo Internacional do Algarve in Portugal this weekend. Rosenqvist got proceedings underway with third place in the opening race on Saturday, before going on to control the following two encounters from pole position – setting the fastest lap of each event on his way to wins number eight and nine of the year. Rosenqvist’s performance at the Portimão track – a new addition to the F3 calendar for this season – means the Swede has now overhauled Antonio Giovinazzi (Italy) at the top of the standings, heading the championship table by 34.5 points with 150 still left up for grabs in 2015. 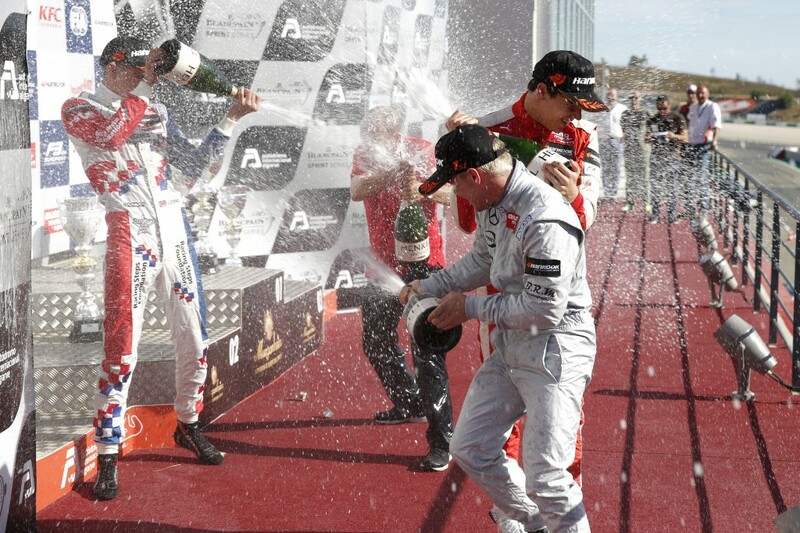 Rosenqvist’s Prema Powerteam squad enjoyed one of their strongest weekends ever in the FIA F3 European Championship, occupying eight of the nine podium positions at stake at the Portuguese venue. Only two rounds remain on the 2015 FIA F3 European Championship calendar, with the penultimate event being staged at Germany’s Nürburgring circuit on September 25-27. 1: Felix Rosenqvist (SWE/Prema Powerteam), 378 p.
2: Antonio Giovinazzi (ITA/Carlin), 343.5 p.
3: Charles Leclerc (MON/Van Amersfoort Racing), 324.5 p.
4: Jake Dennis (GBR/Prema Powerteam), 309 p.
5: George Russell (GBR/Carlin), 186 p.